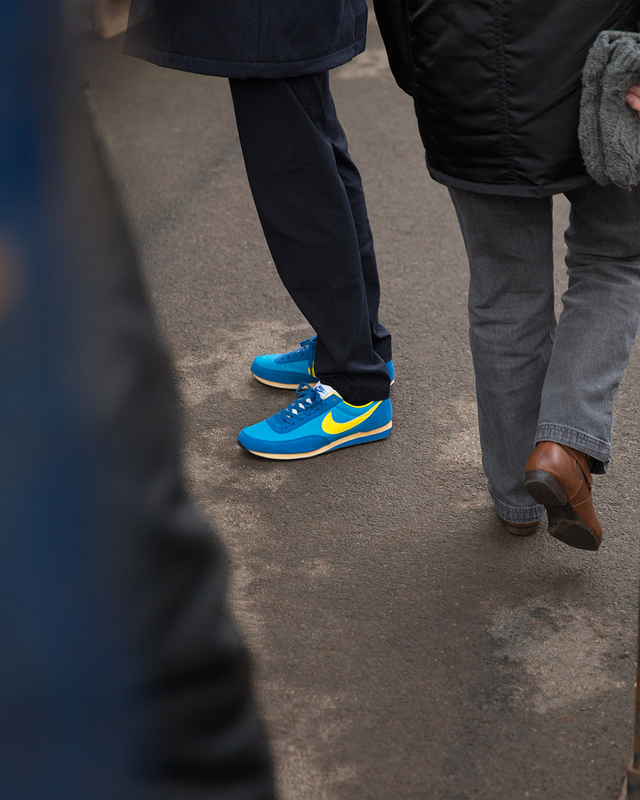 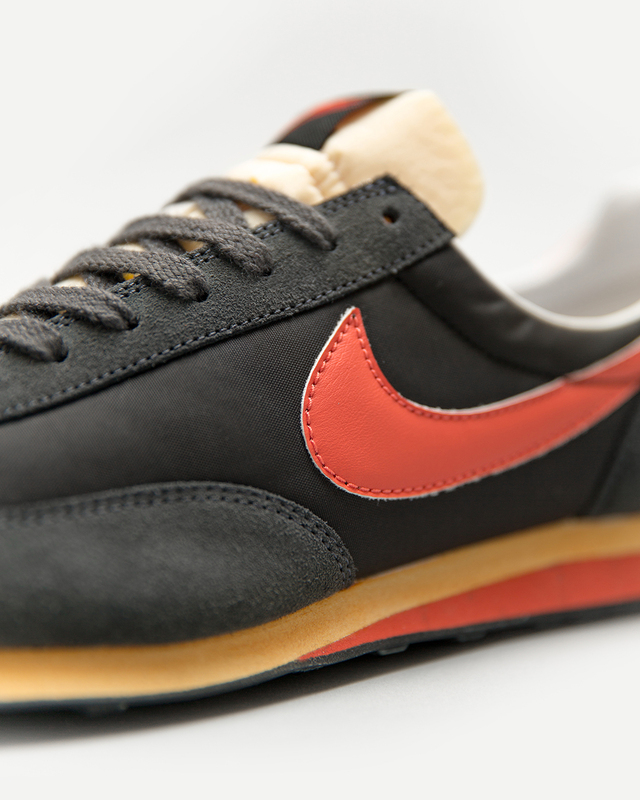 We’re pleased to announce our latest project with Nike, the size? 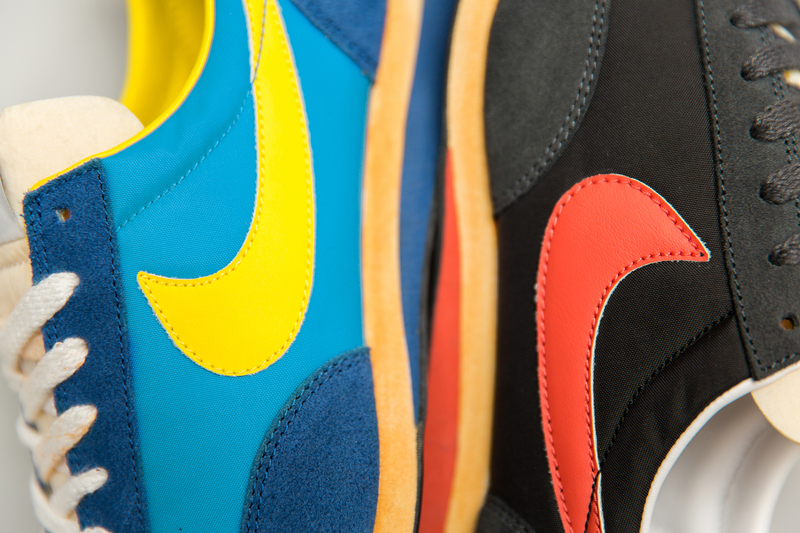 Exclusive Elite in two original colourways. 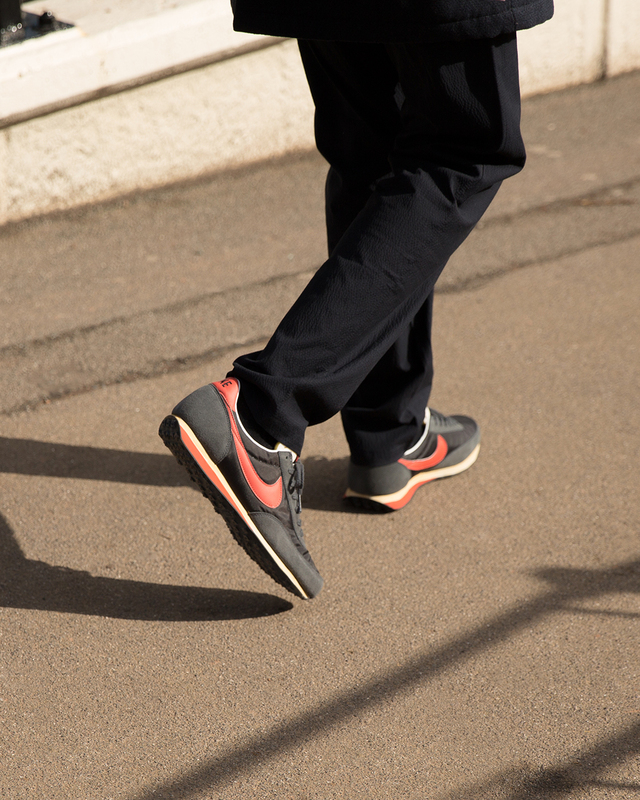 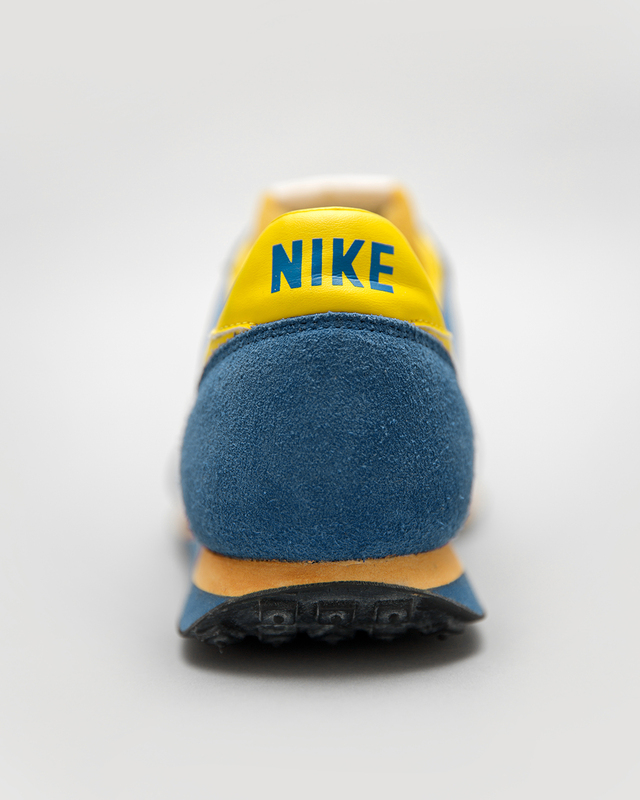 The late 1970’s birthed some of Nike’s most celebrated running shoes, that went on to inform future designs and help develop the brands running program all the way up to the present day. 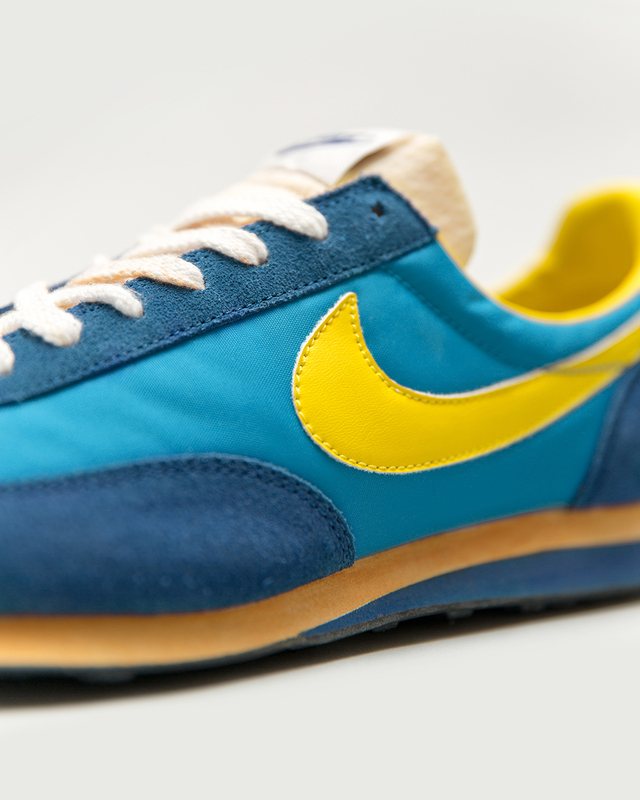 The Nike Elite was introduced as the latest lightweight model at the time, making use of nylon and suede to reduce bulk across the upper. 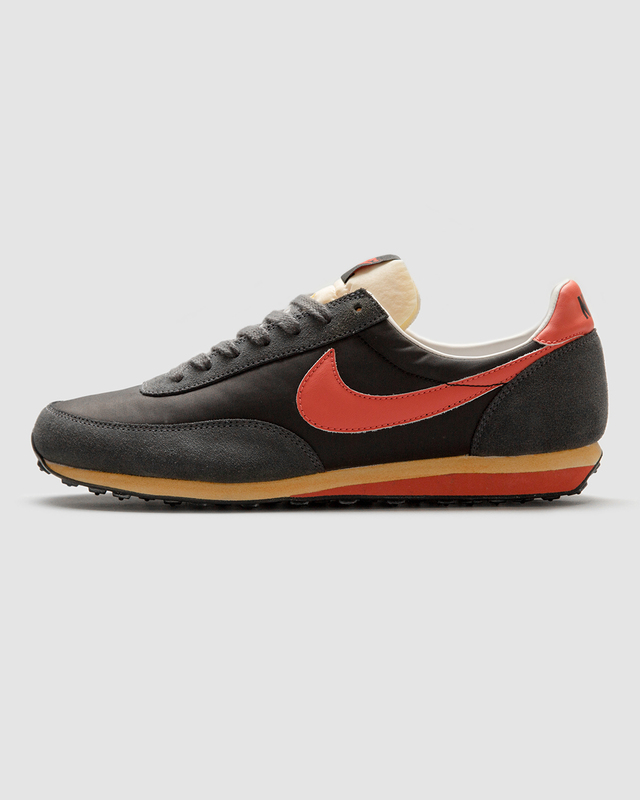 The Elite was one of Nike founder Bill Bowerman’s earliest models to feature the waffle sole unit, which was created thanks to his intuition and quest for a shoe that would hold traction on multiple surfaces. 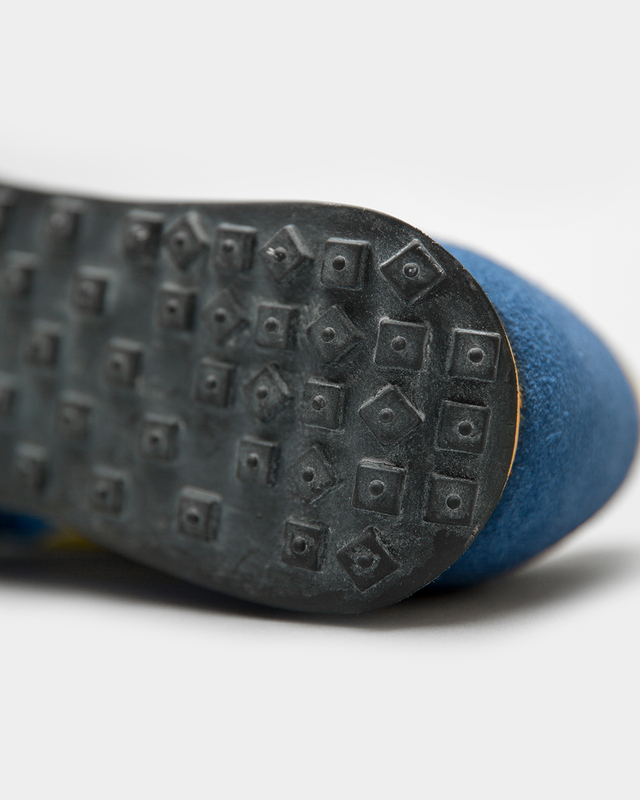 He solved this problem at the breakfast table, over a plate of waffles, substituting the batter in his waffle iron for rubber, to create the now iconic ‘Waffle’ sole. 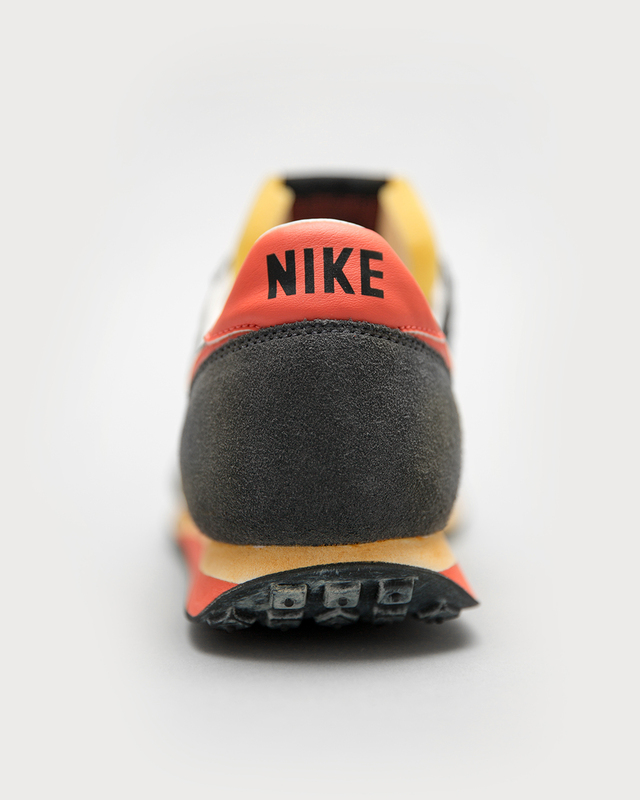 The flexible, springy and lightweight rubber sole would revolutionise track and field performance footwear and inspire future collections through the decades. 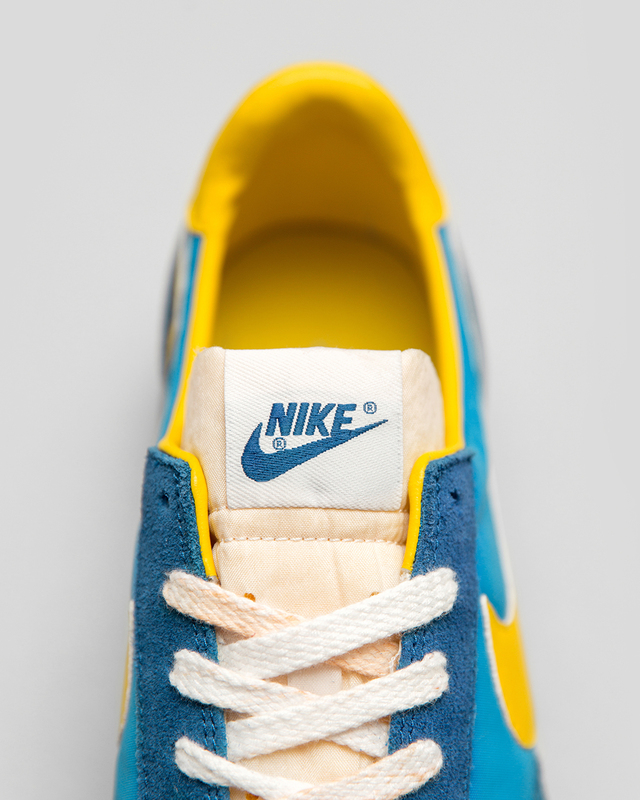 Re-released in OG colourways for the first time since 2012, the Nike Elite comes in exclusive Ocean Blue/Yellow and Black/Red, with a pre-vintage, distressed finish to the sole unit and laces and are finished in nylon and suede. 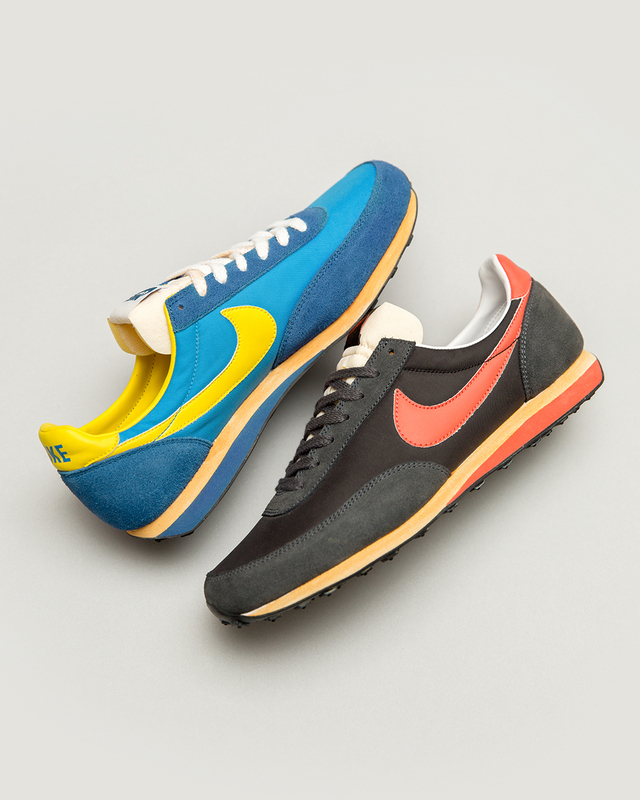 Both colourways of the size? 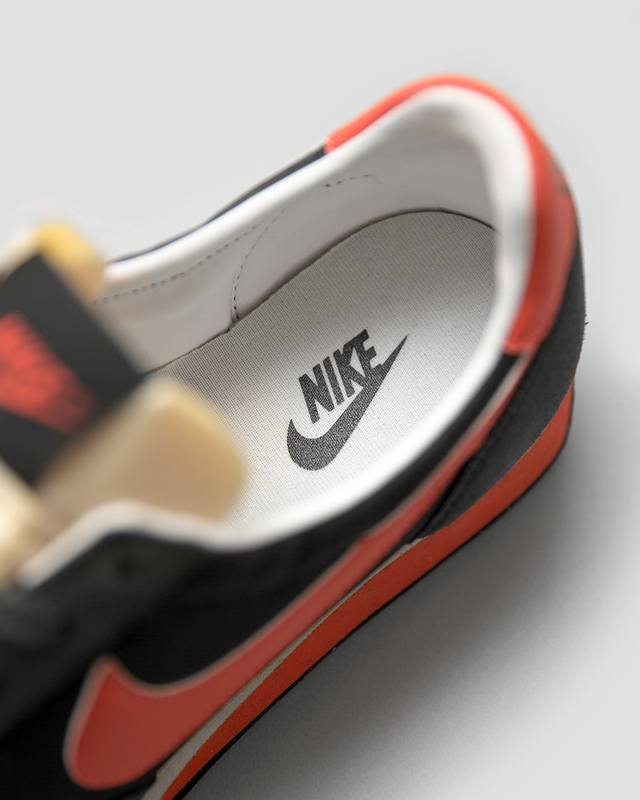 Exclusive Elite will be available online and in all size? 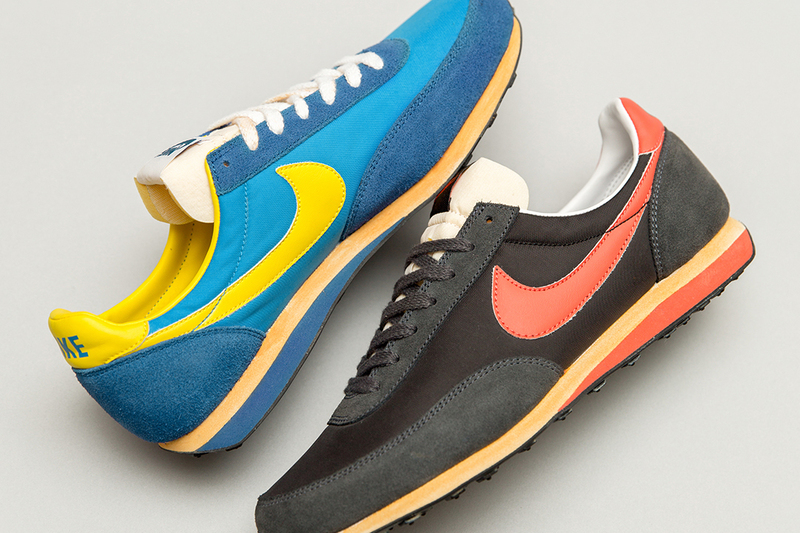 stores on Friday 9th March, priced at £65 .